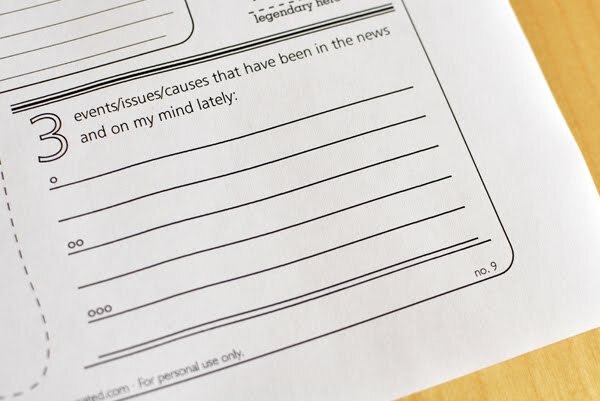 Day 9 of the great fill-in-the-blanks journal adventure and I am utterly enchanted by today's quote by 19th century, Italian composer and poet Arrigo Boito. For me, it describes so well the intimacy and sense of connection that come with love. All encompassed in a simple smile. Mmm, so dreamy . 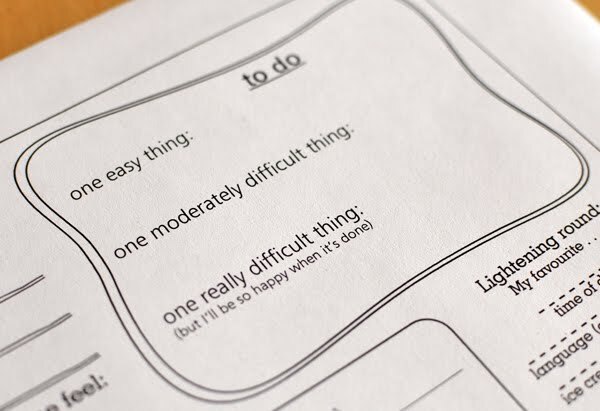 . .
Today's page asks you to list your to-dos in order of difficulty . . .
and to think about the current events that have recently caught your attention . . . The full page looks a little something like this . . .
and is available here. I'm curious, what current events or issues are keeping you up at night? I had to go to your blog for the whole story! So glad to read that your son is in good shape and on the mend. I hope that the journal pages are suitably distracting and that you're able to untwist a little!